Since we developed our native iOS application, we highly recommend using it instead of this method. You can find it in the App Store here. This method is still viable if you are facing issues with our native application or just want to see if the protocol that it uses works on your network. 3. Once installation steps are completed, tap the Done button. 4. 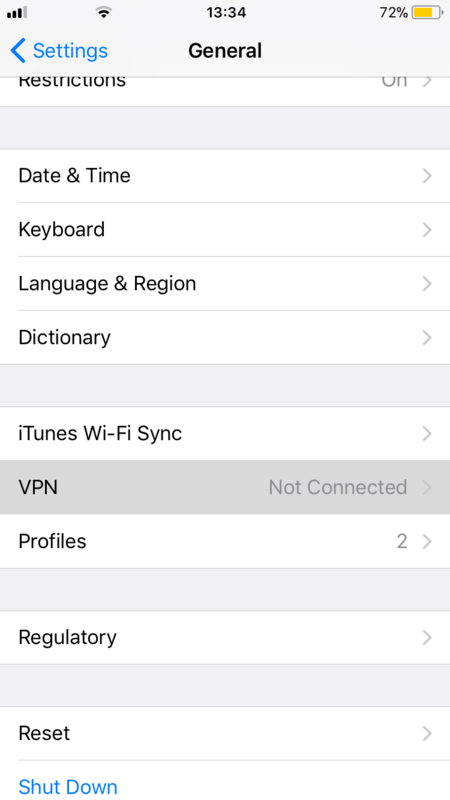 Open the VPN section in the General settings menu. Remote ID : Same hostname as in the Server field. Local ID : Leave it empty. 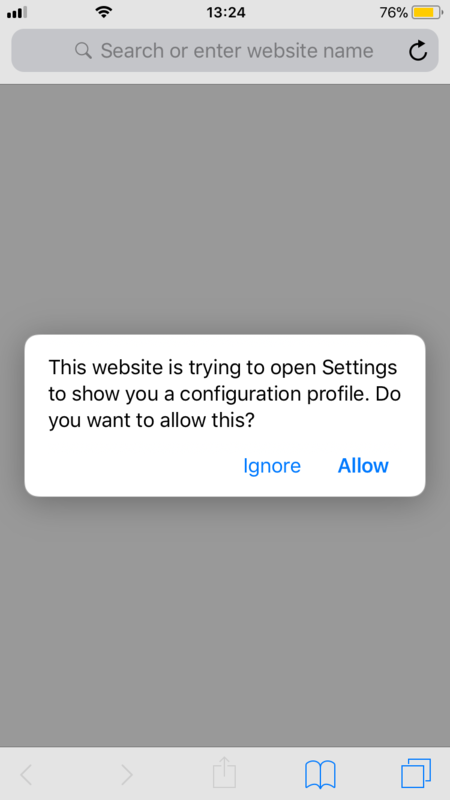 Username : Your OpenVPN/IKEv2 username. Password : Your OpenVPN/IKEv2 password. 7. Newly created VPN configuration will appear. Tap the Status slider to connect and tap it again to disconnect. 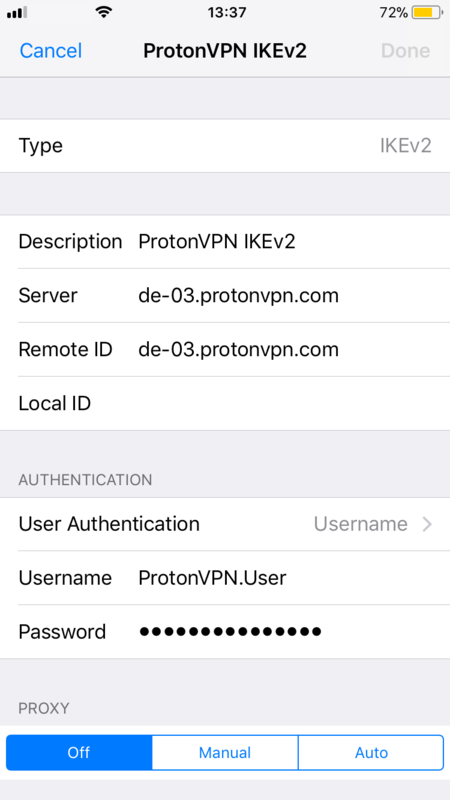 You have now finished the iOS IKEv2 VPN setup, and you can proceed to access the ProtonVPN servers through the IKEv2 protocol. 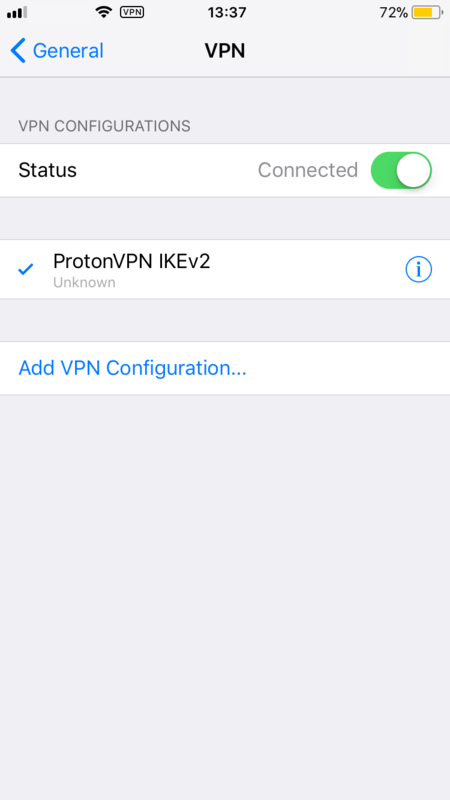 I tested this IKEv2 setup on iOS 11.4.1. Worked as described on this page but I had to use IP address instead of server hostname ( Server, Remote ID ). The connection drops every time the phone is locked and unused for some time. Is there anyway to prevent this issue? I tested using free version. Many thanks. Hello Forest. This is just how the iOS platform works, whenever you put your phone to sleep, it will drop the connection, and when you wake it up, it should reconnect. Sadly there is nothing from our side that we could do about this. 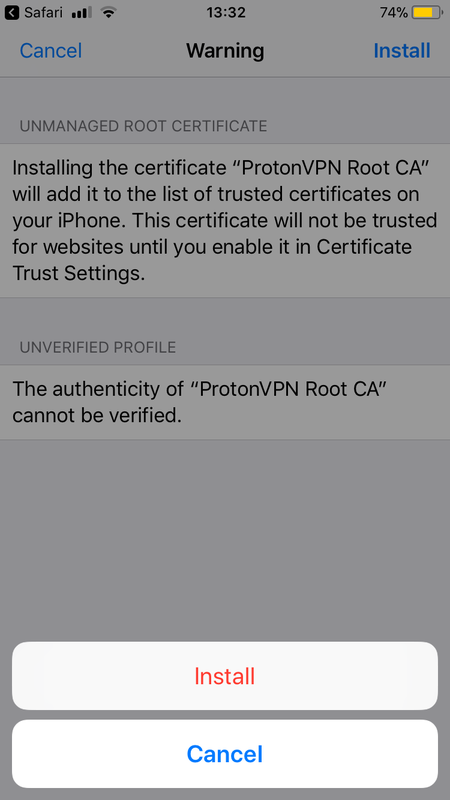 After the openVPN latest update it stoped working for me, so I’m trying this method on my ios, and getting only “connecting…” massage with no effect. Hello. Please make sure that your credentials are configured in the application before connecting, that is username and password since the update caused its deletion. Does this provide the same level of security and privacy as the OpenVPN app? Hey, OpenVPN TCP is still probably the safest protocol you can use, but IKEv2 comes really close in terms of encryption. 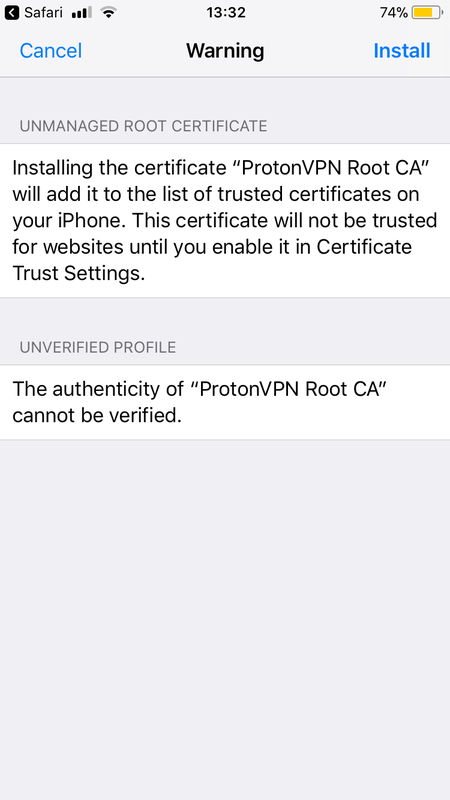 I have tried setting up to the NL free server on both iOS 9.3.5 and 11.2.2. Neither work. 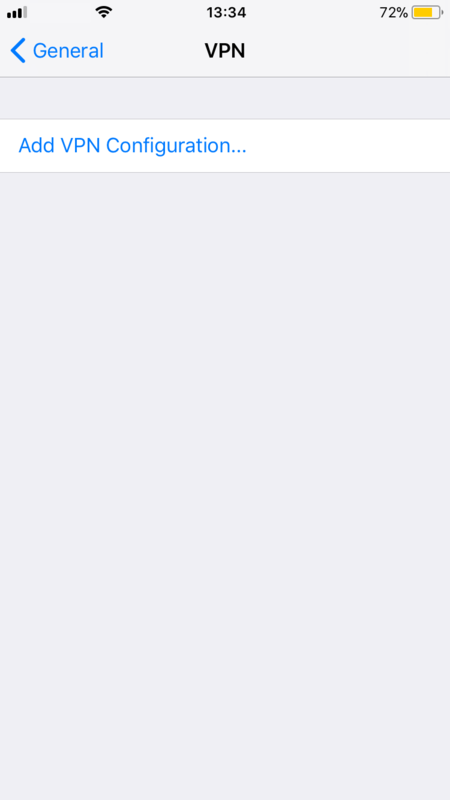 When I connect, I see “Connecting…”, then “Disconnecting…” both quickly display and eventually returning to “Not Connected”. Hey, this method for free servers requires a server IP address. 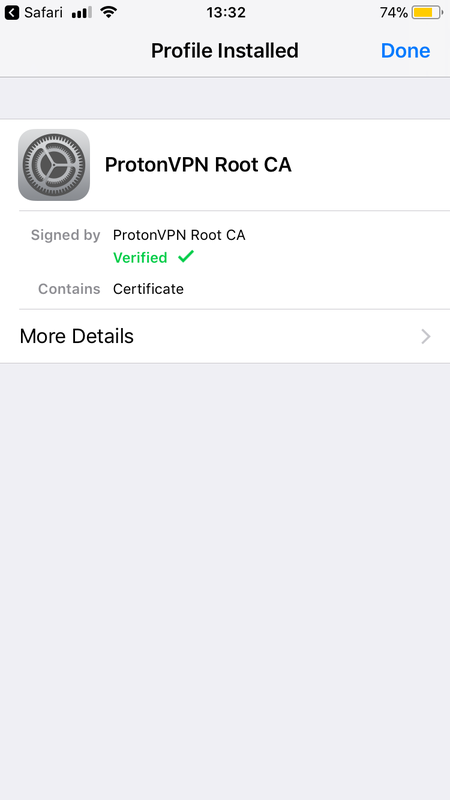 For example ping us-free-01.protonvpn.com and use the IP address you will get instead of the hostname. Hi, I pinged jp-free-01.protonvpn.com and entered 185.161.200.11 in both server and remote id fields. Got exactly same error. I have the certificate installed and followed every step. Any idea why it doesn’t work? In terms of privacy and security how safe is to install this certificate into the system? Hello, the same certificate is installed on our Android and macOS apps as well. Without the certificate, authenticating and connecting to our servers wouldn’t be possible. I believe that this doesn’t work with SecureCore servers, just specific servers, yes? At the moment no, since there are two separate servers and manual connection method allows you to connect only to one.